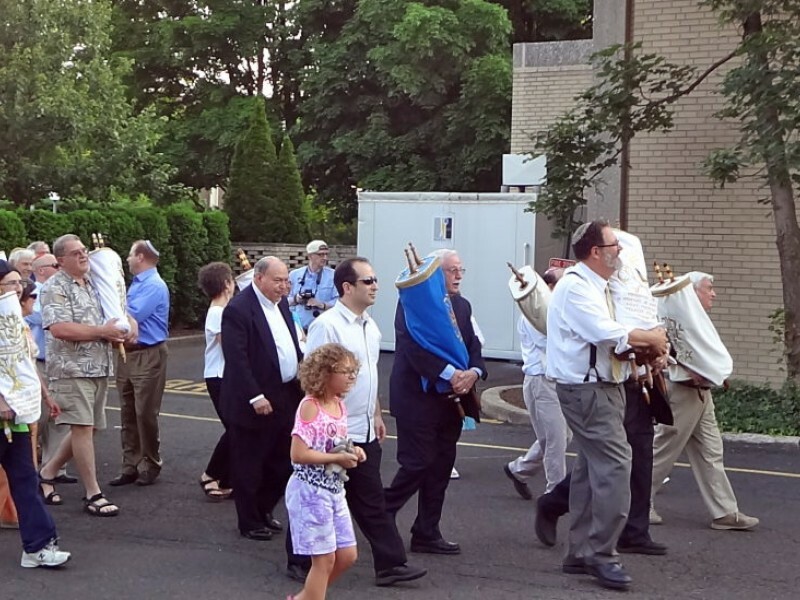 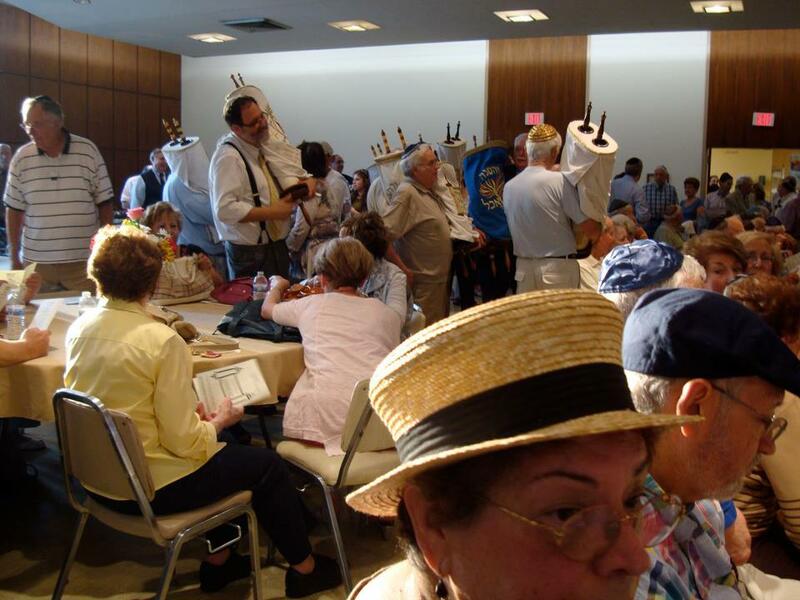 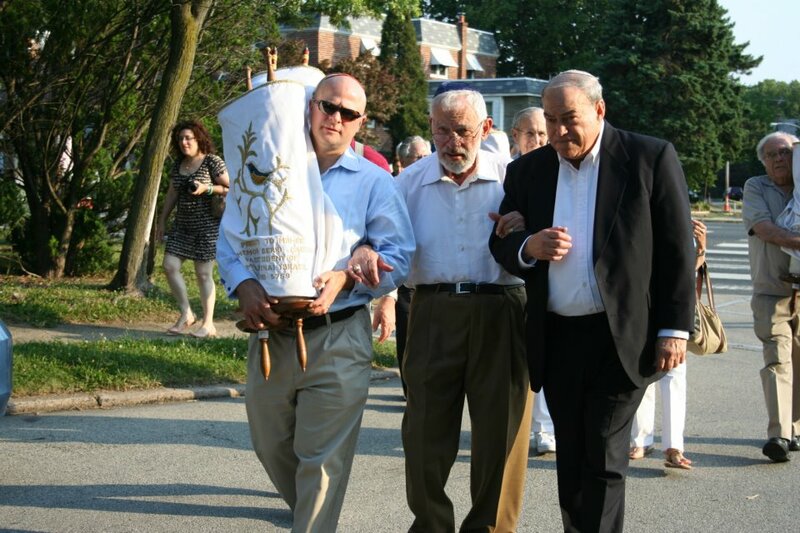 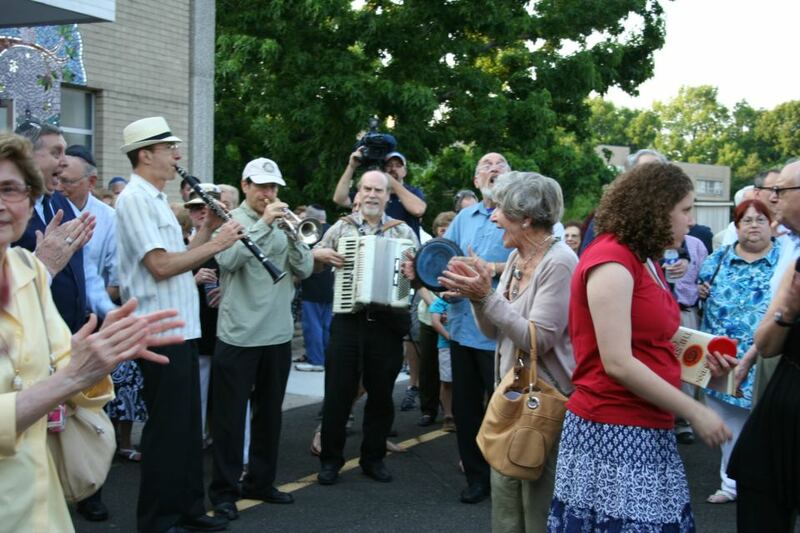 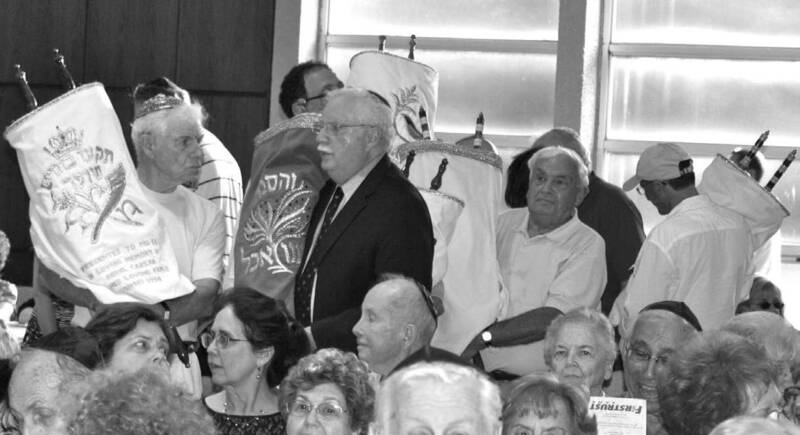 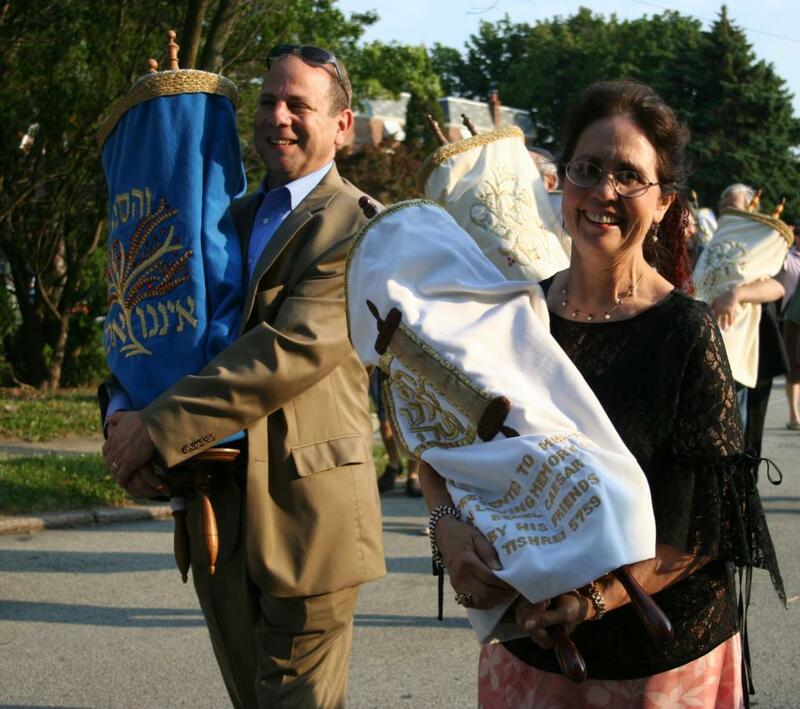 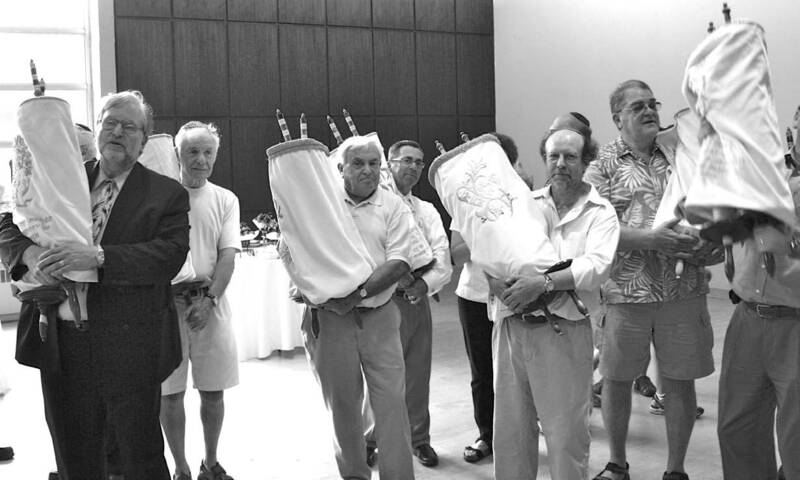 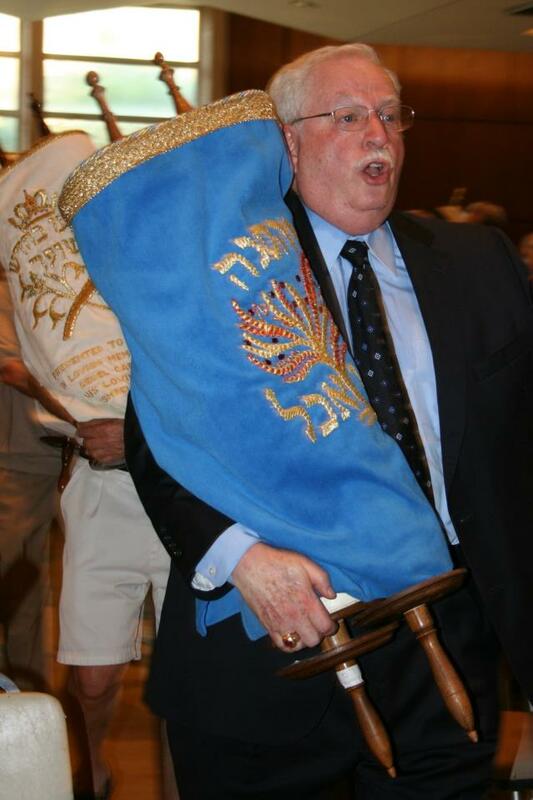 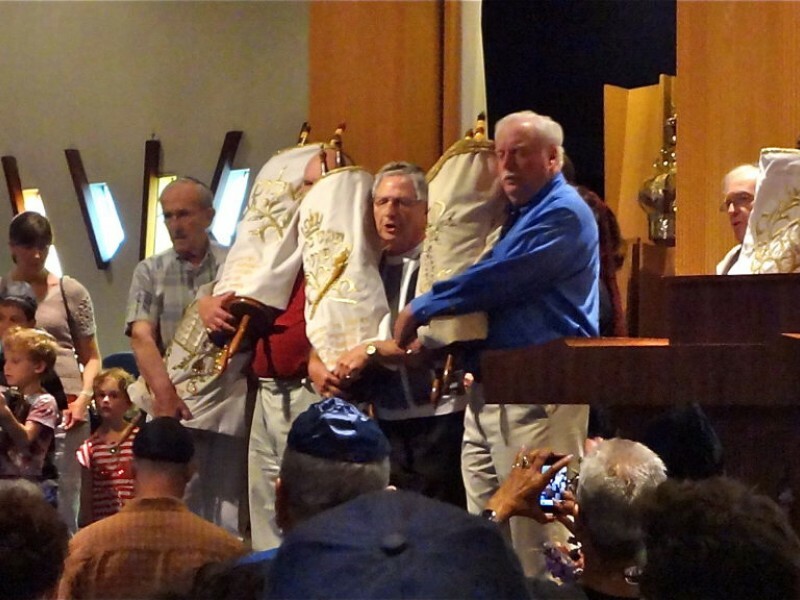 On June 20, 2012, Melrose B’nai Israel Emanu-El moved from 133 West Cheltenham Avenue to our new location at 8339 Old York Road in Elkins Park, PA.
During this festive procession, eleven Torahs were carefully transferred to their new home in a shared space with Keneseth Israel in the “Old York Road” corridor, benefiting from a larger and vibrant Jewish community in the area. 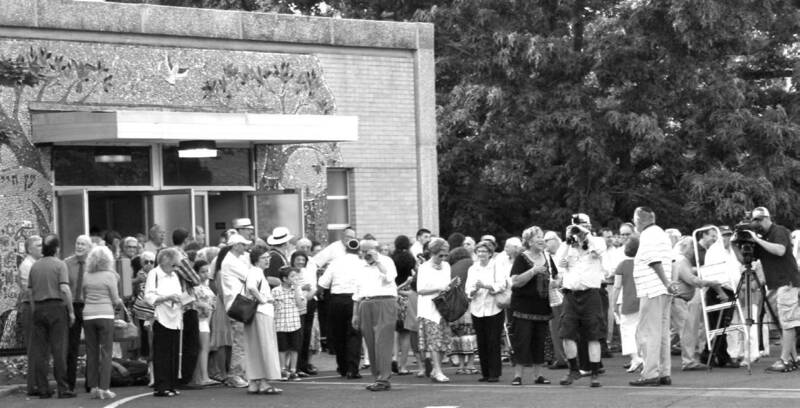 Read local press about the move here. 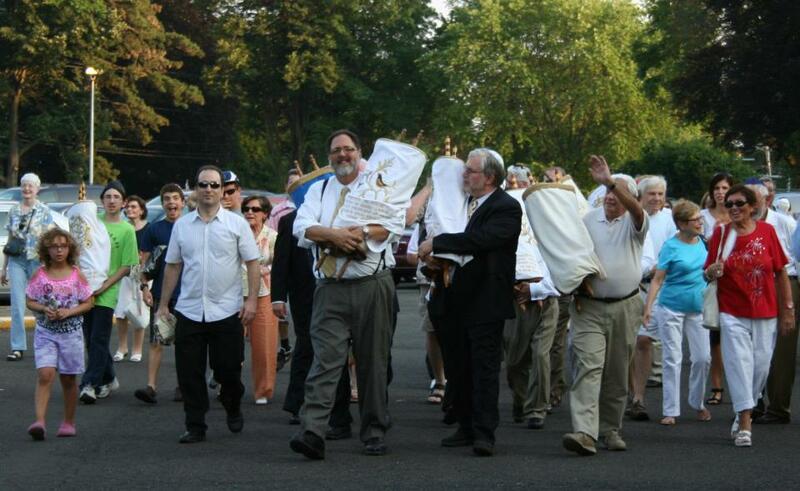 Eleven Torahs made the trip from Cheltenham Avenue to Old York Road last night. 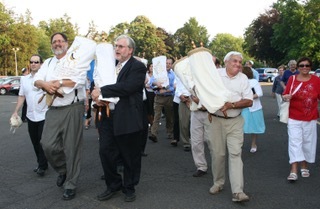 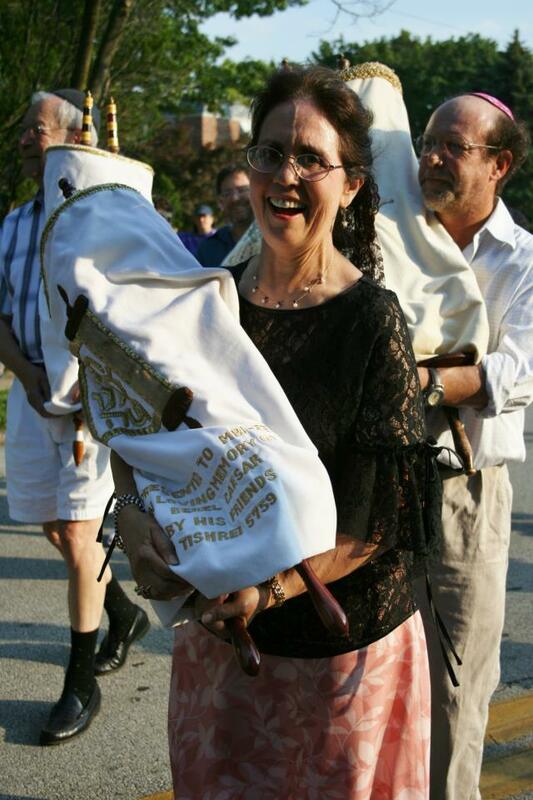 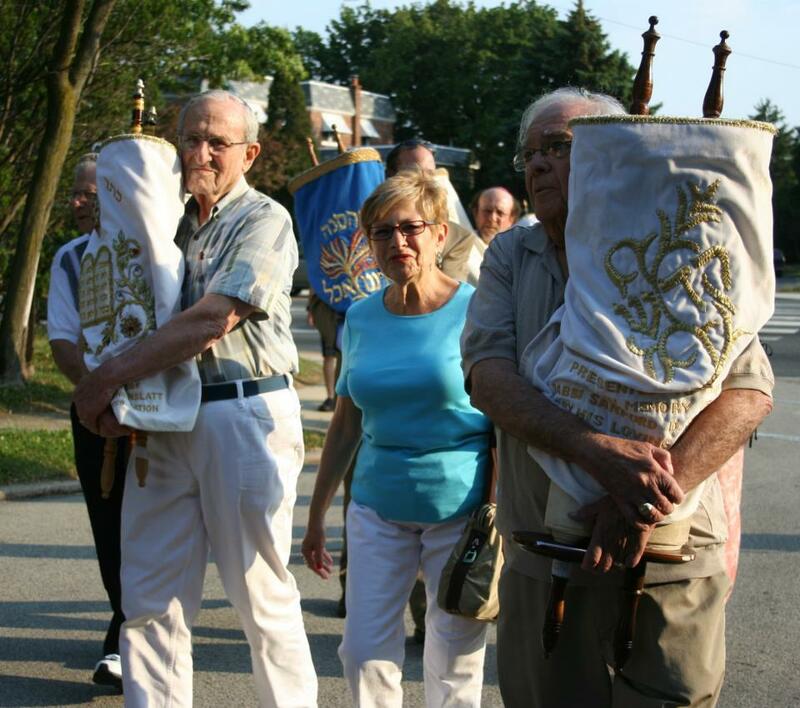 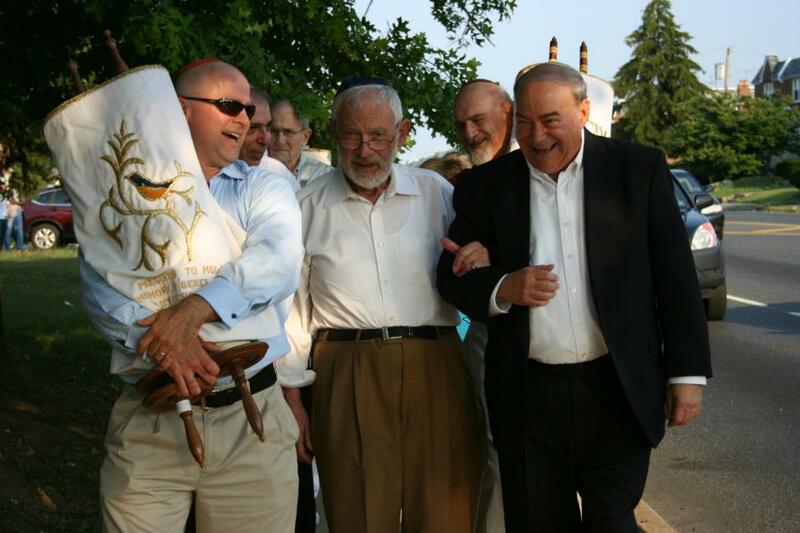 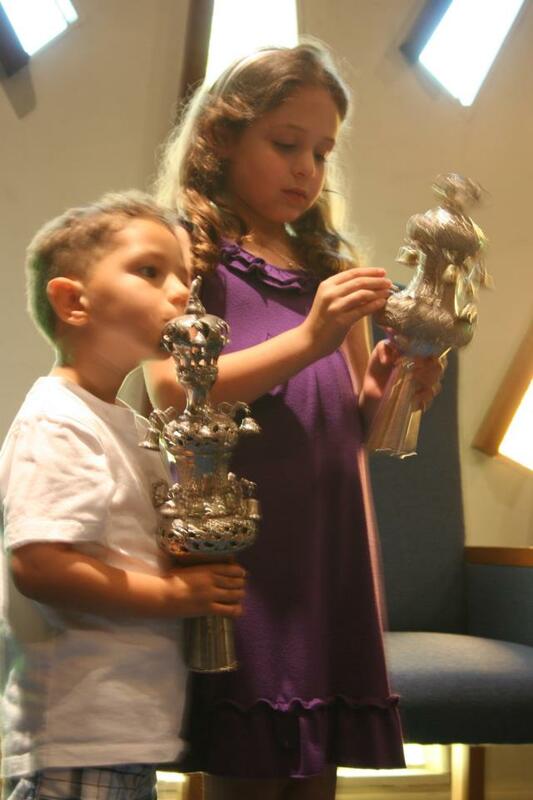 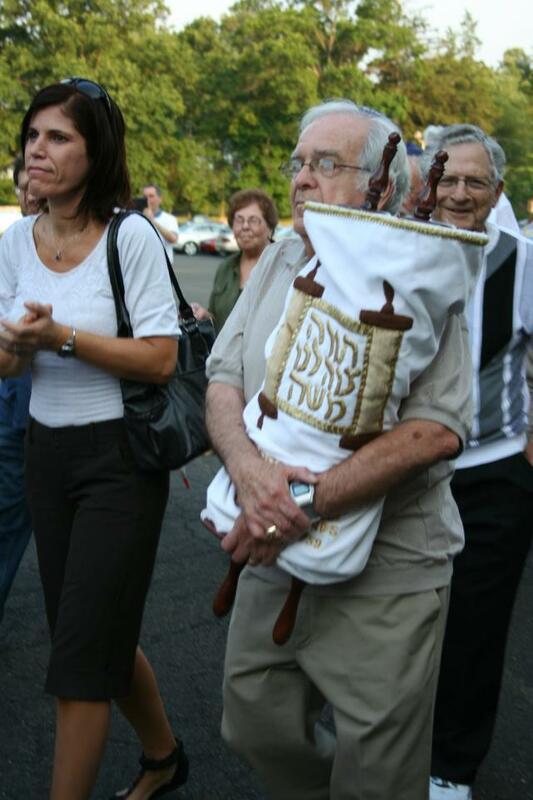 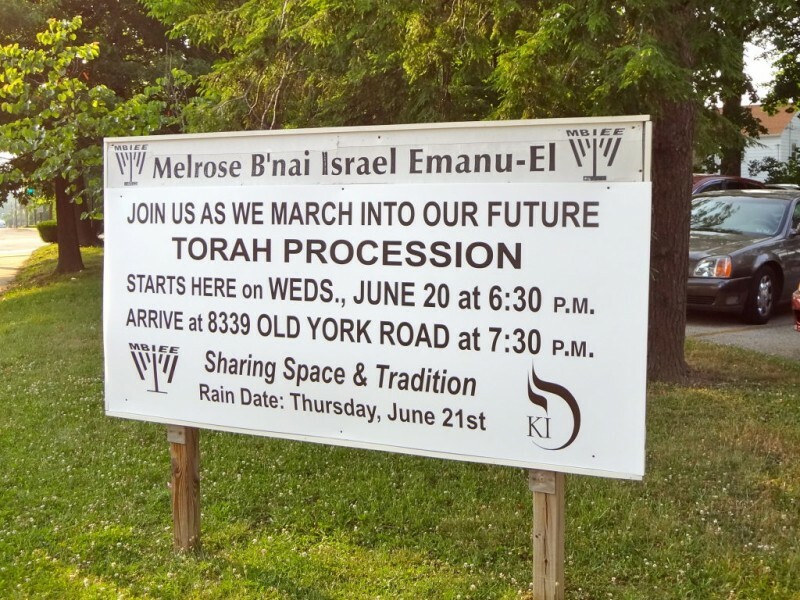 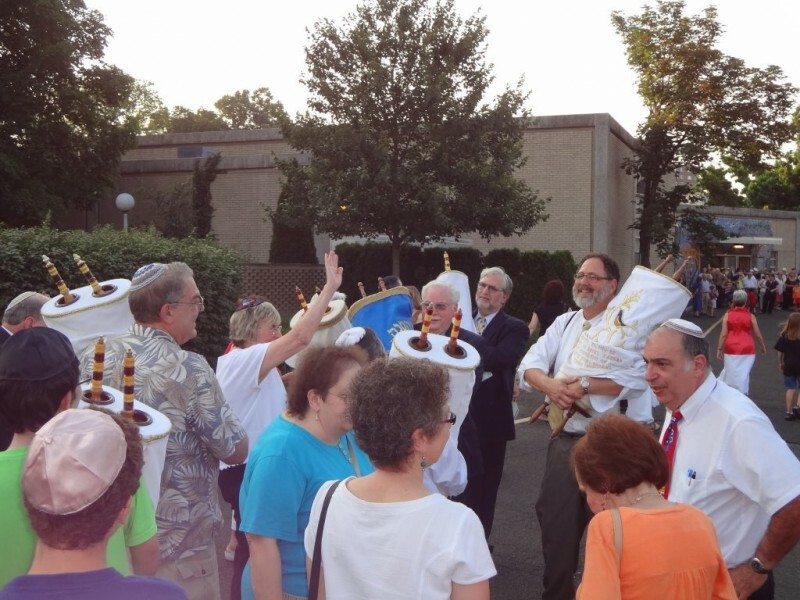 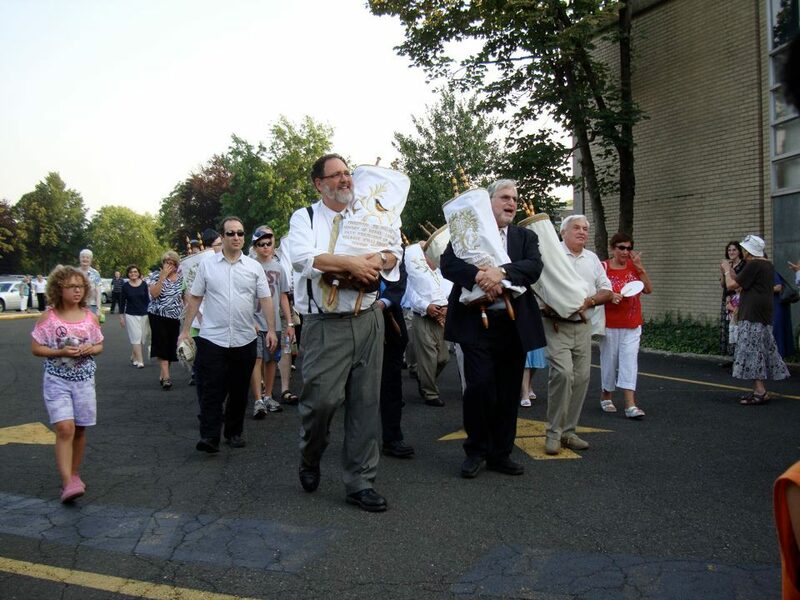 But it’s more than the Torahs that will stay on Old York Road following the 3-mile trip. 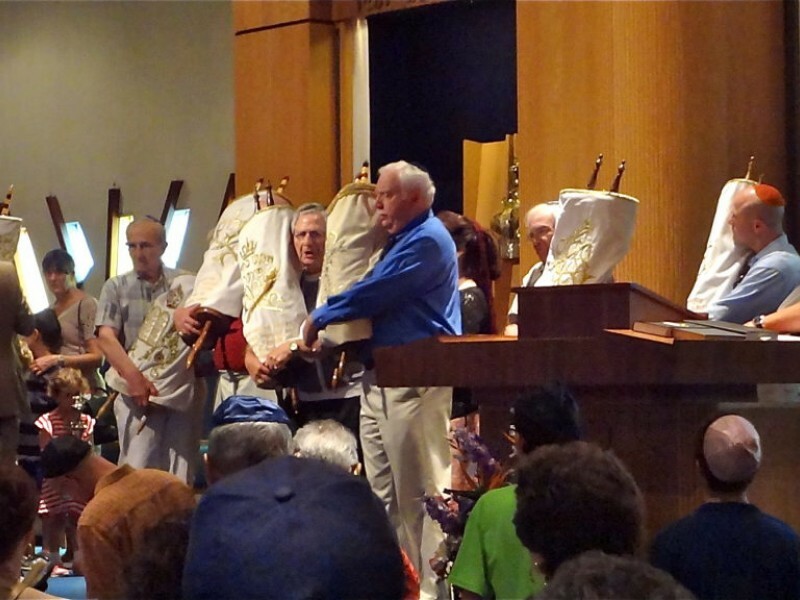 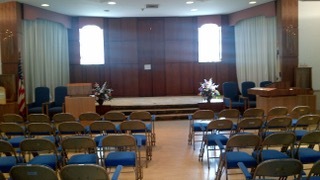 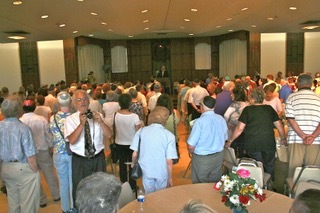 Members of Congregation Melrose B’nai Israel Emanu-El officially moved into their new digs last night. 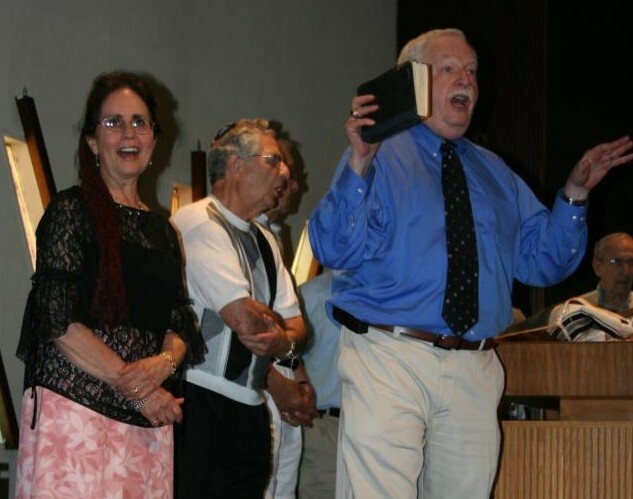 The conservative congregation, which has had its home at 133 West Cheltenham Ave. in Elkins Park for more than 50 years, is moving, and is now sharing space with Keneseth Israel, a reform congregation, on Old York Road. 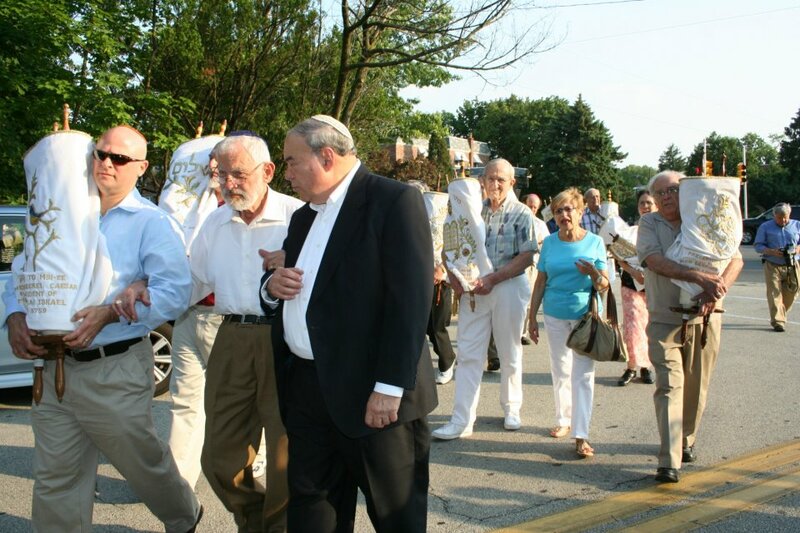 MBIEE Vice President Mark Weiner, of Holland, Pa., said his congregation listed the Cheltenham Avenue property for sale about a year ago, and now there’s currently an agreement for sale. 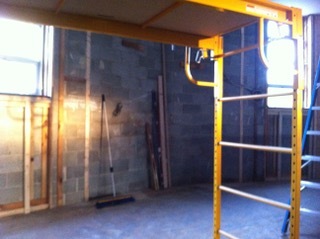 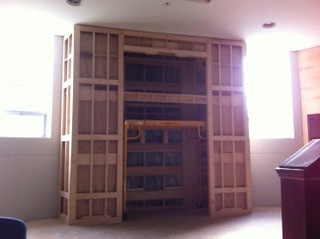 The building will likely be a dialysis facility. 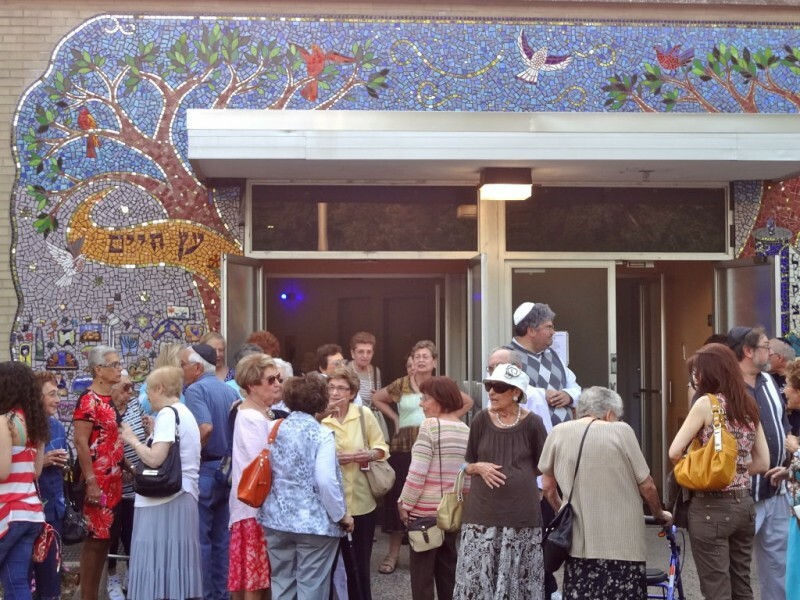 According to Weiner, his congregation is older and getting smaller, and the maintenance on the 55-year-old building was getting hard to handle. 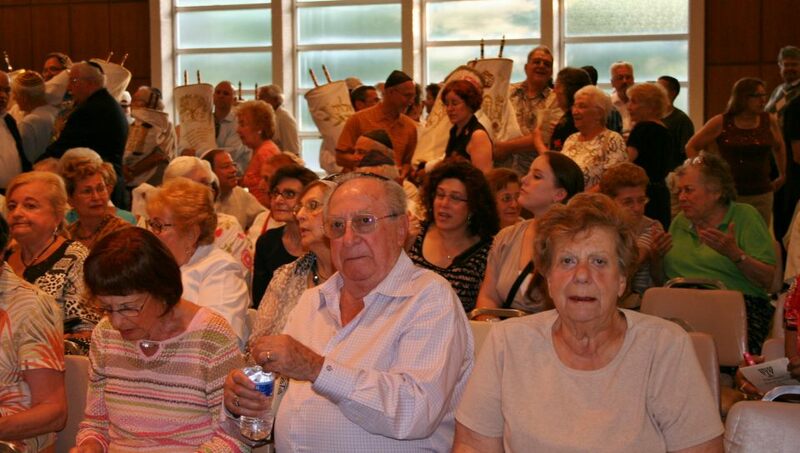 “We researched many possible locations,” Weiner said. 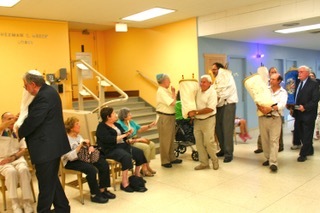 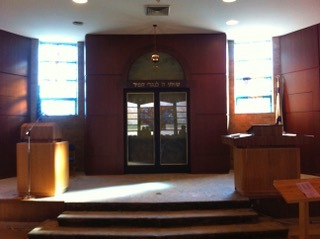 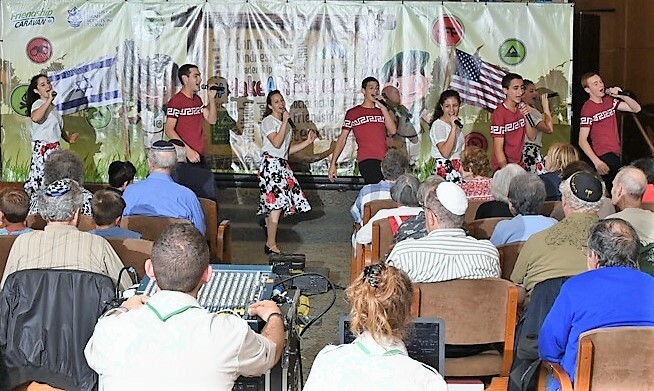 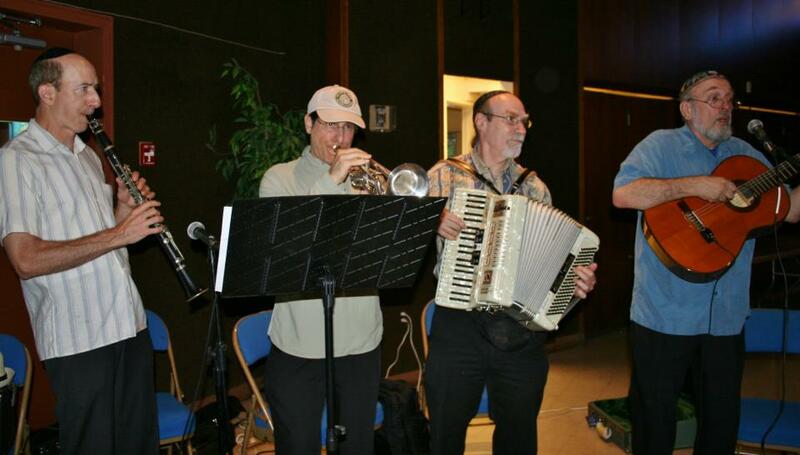 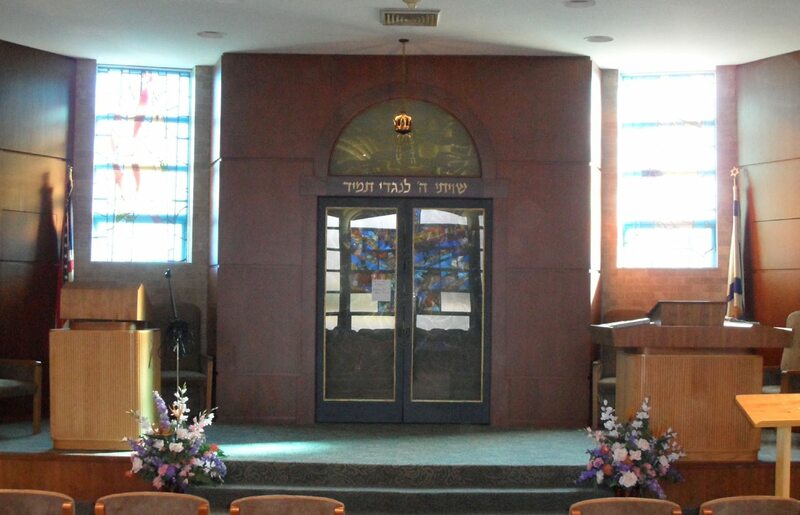 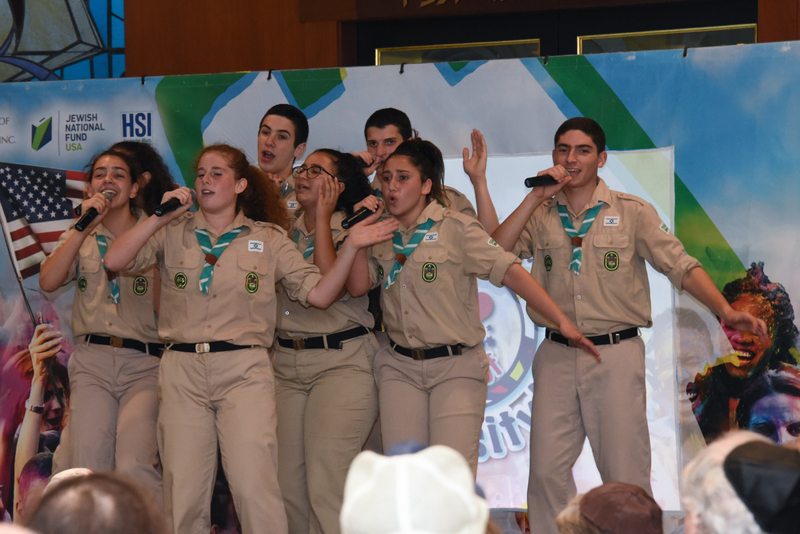 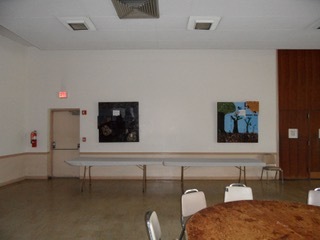 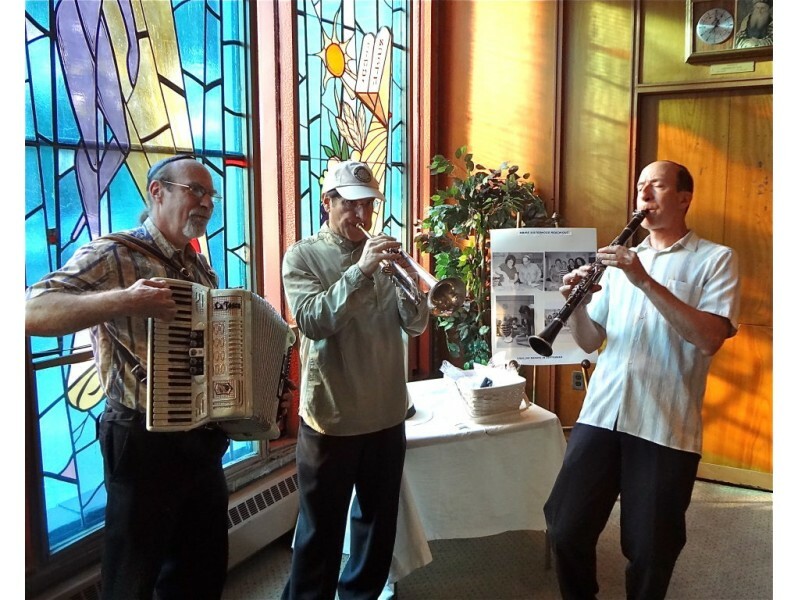 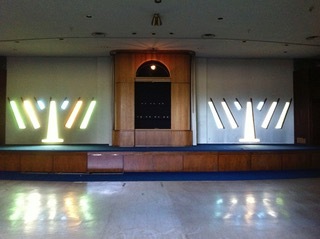 “We found the people here at Keneseth Israel to be the most accommodating — and it’s going to make for a very unique arrangement. 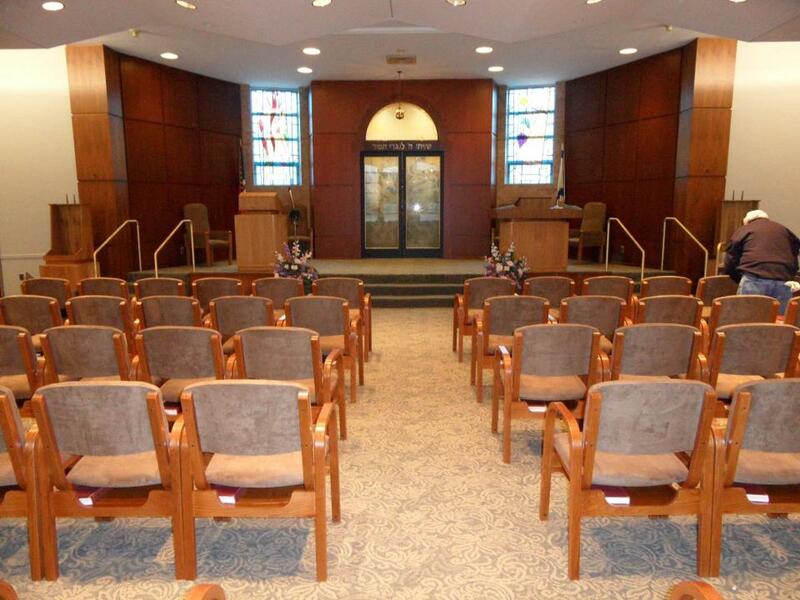 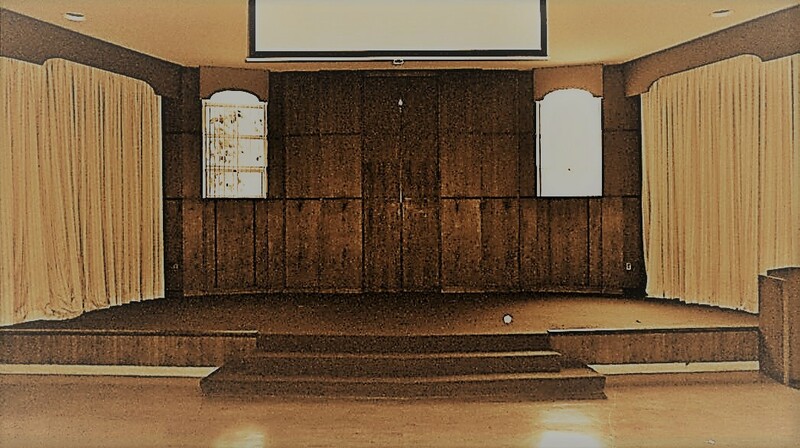 According to Weiner, MBIEE will hold its services in the Charles and Regina Rothschild Auditorium; KI will hold its services in the main sanctuary. 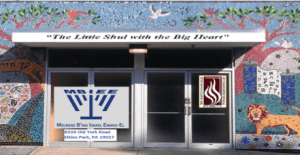 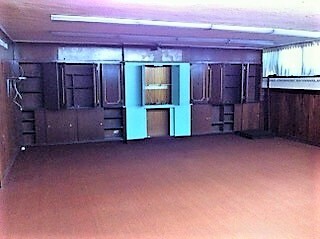 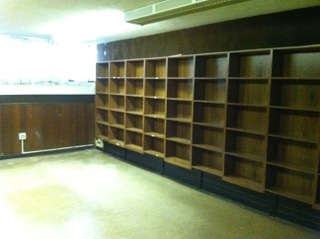 Both congregations will share the rest of the (also) 55-year-old Old York Road building. Keneseth Israel President Richard Weiss said MBIEE approached KI about the possibility of leasing space last winter. 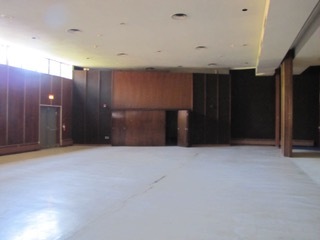 Weiss said KI has a large building, and added that much of it wasn’t being used. 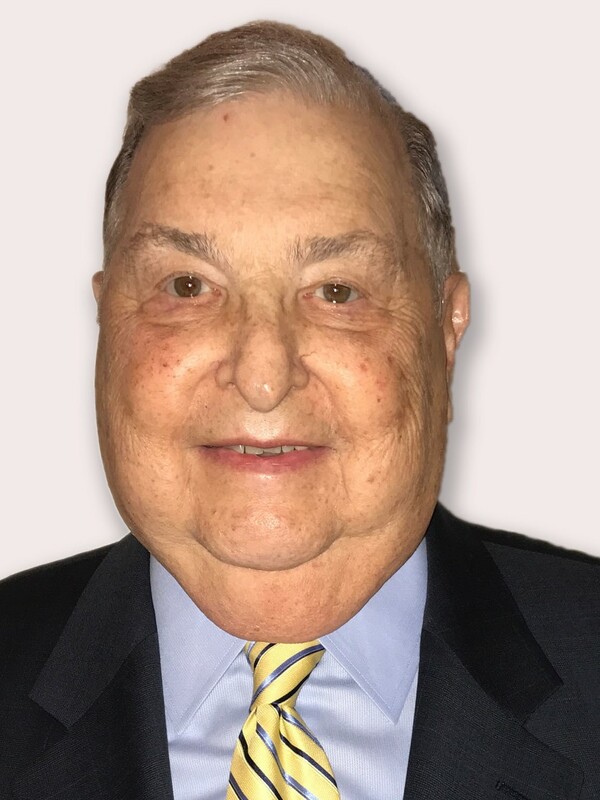 “We very quickly arrived at an agreement, which was contingent upon Melrose being able to sell its building,” Weiss said. 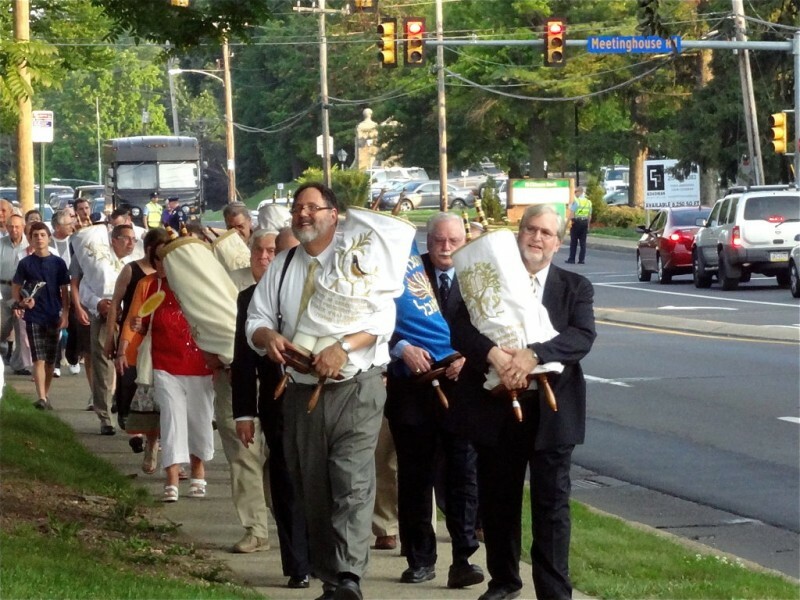 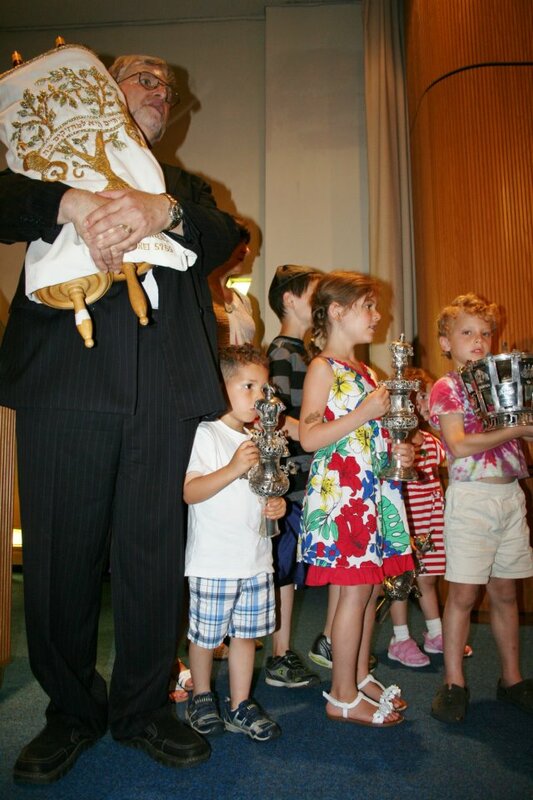 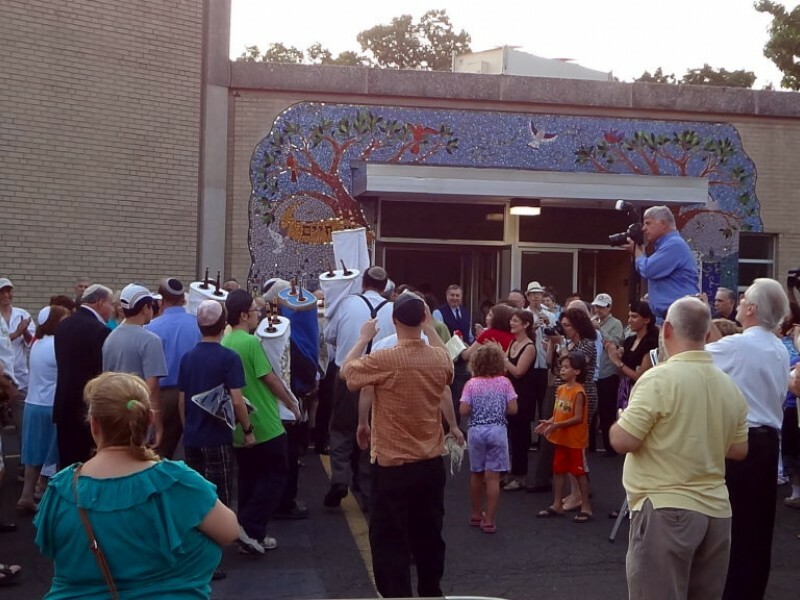 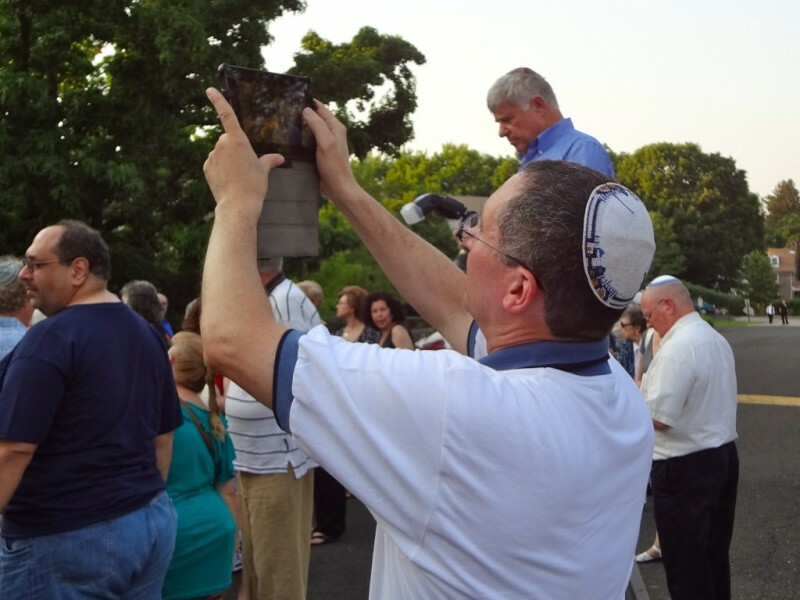 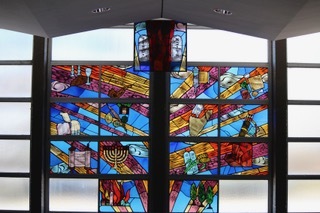 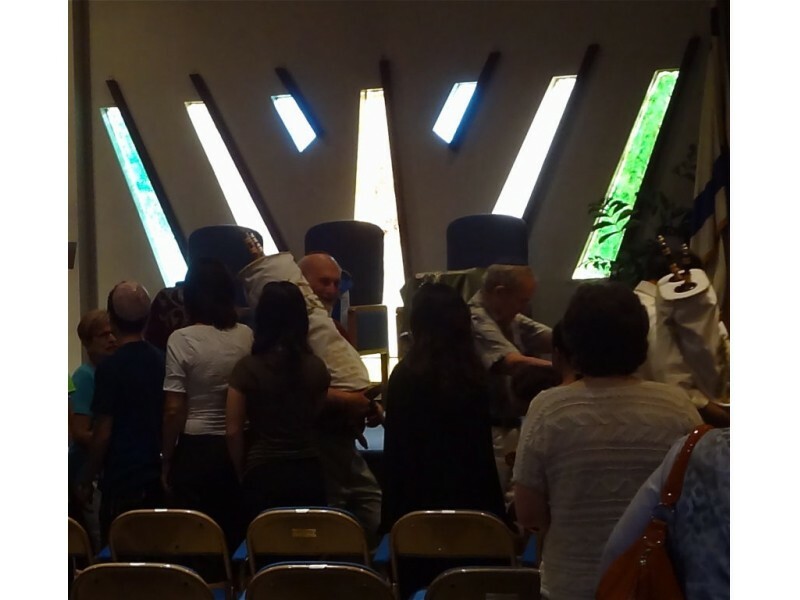 Following a Mincha service at the Cheltenham Avenue location, members of congregation Melrose B’nai Israel Emanu-El started the Torah procession. 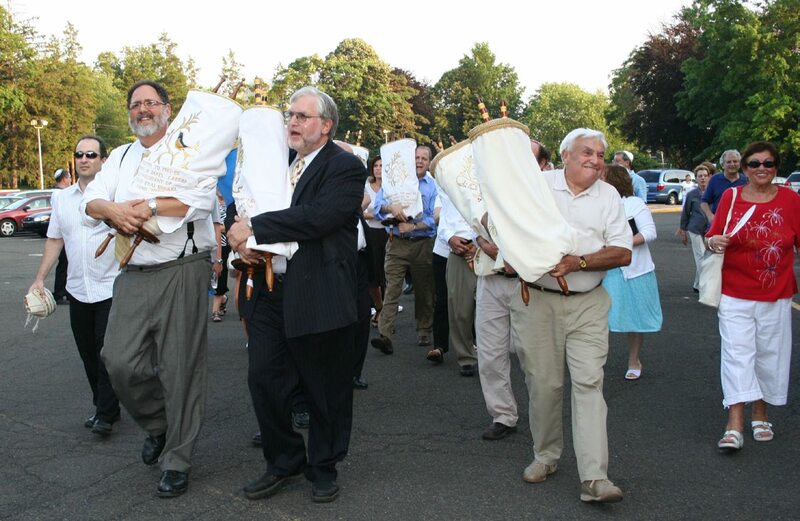 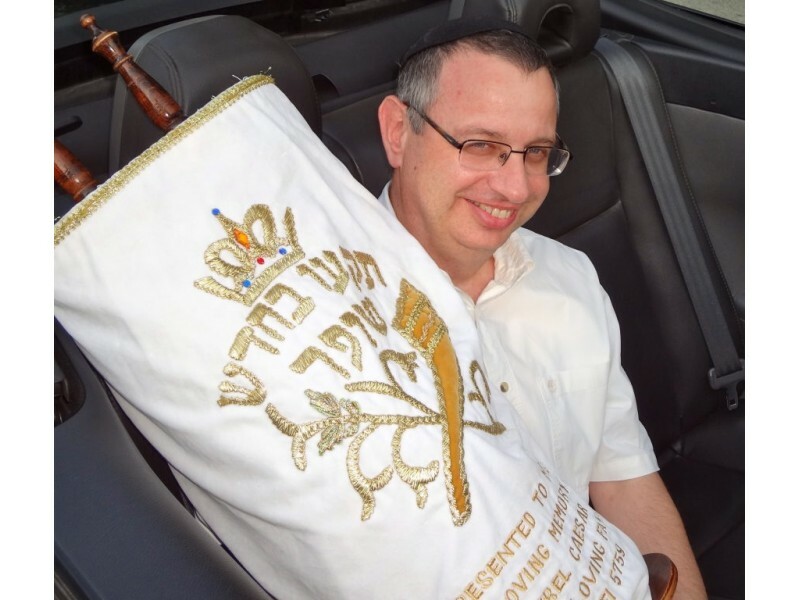 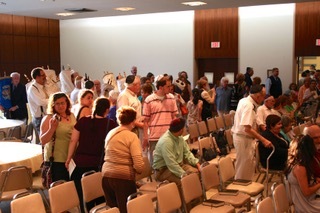 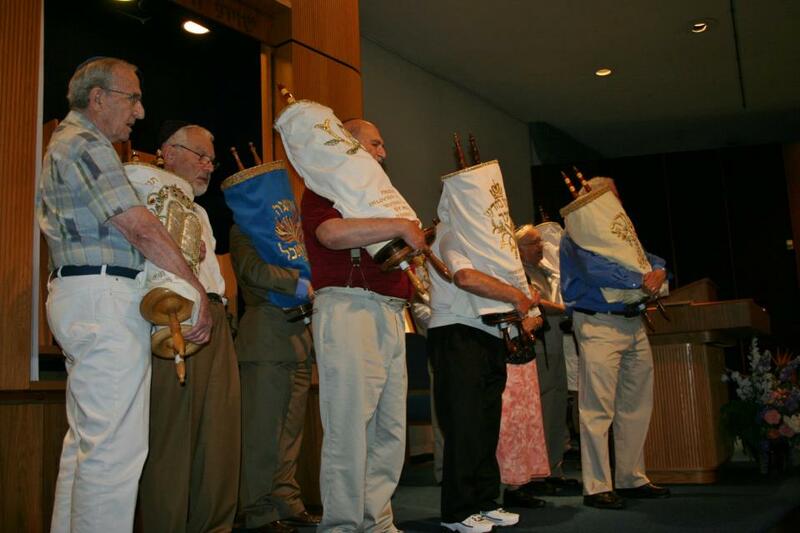 The members who were carrying the Torahs got into about ten convertibles and drove to the Cheltenham Police building. 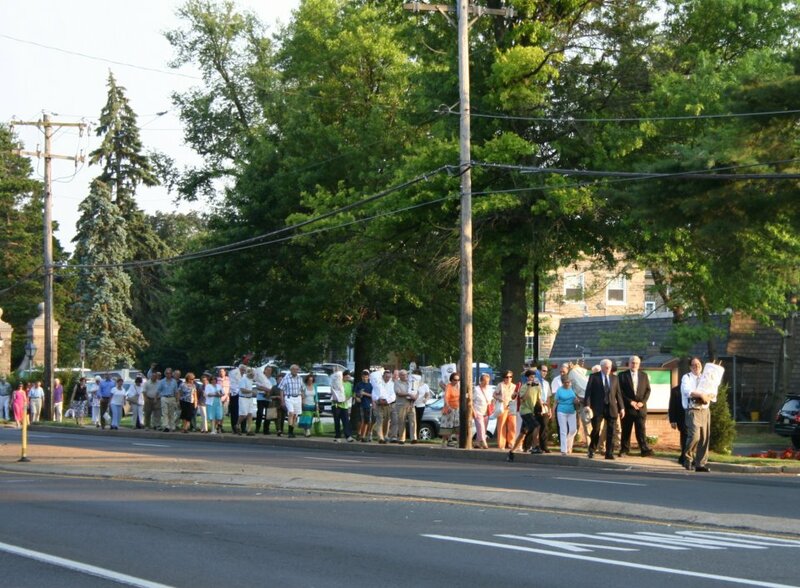 From there, the members walked north for a couple of blocks on Old York Road and entered the KI building. 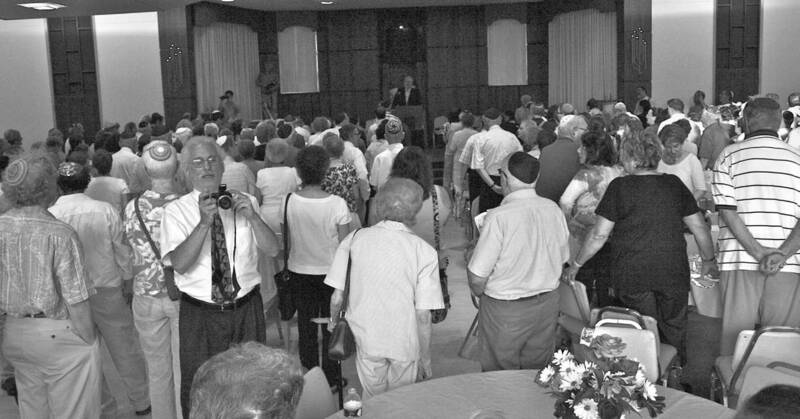 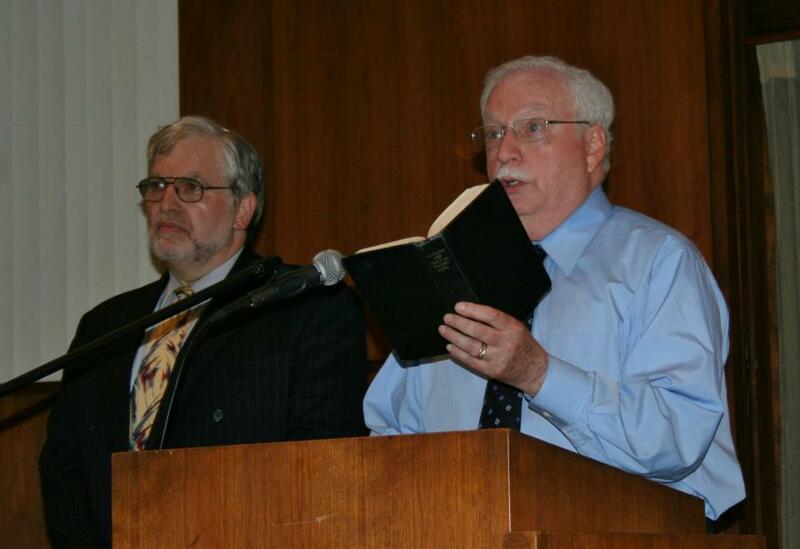 MBIEE wasted no time at its new location, and held a service that night.